The Audix OM3, first introduced in 1989, is the original VLM technology high-output vocal microphone. 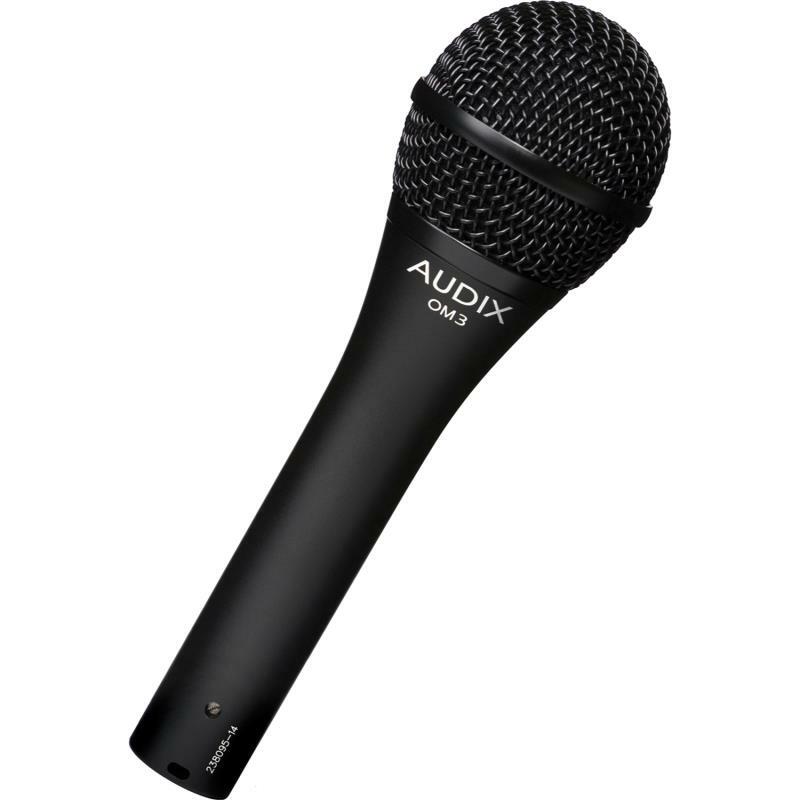 An American-made hand-held vocal microphone designed for live performance, the Audix OM3 is characterized by a hypercardioid pickup pattern and a uniform frequency response of 50-18kHz. An excellent choice for any size stage, the OM3-xb can provide over 25 dB of feedback rejection off-axis and is able to handle extremely high levels of gain without distortion. Transformerless design, low impedance, and balanced output allow interference-free performance even with long cable runs. The OM3 produces a highly accurate, natural sound with slight bass proximity. A dent-resistant spring-steel grill and sound pressure handling capabilities in excess of 144dB add to the OM3's road-worthiness. Supplied accessories: Mic clip (MC1) adjustable through 180 degrees with standard 5/8 inch 27 thread, zippered microphone carrying pouch.